MicroXact’s cryomagnetic probe stations are available with electromagnets, superconducting magnets or a combination of electromagnet and superconducting magnets. Such systems are used for cryogenic spintronic testing, spin torque oscillator testing, Hall effect, quantum Hall effect testing and many more. Independent temperature control of superconducting magnet probe system and the chuck/probes, allowing for cryogenic testing at full magnetic fields while the chuck is at non-cryogenic temperatures. 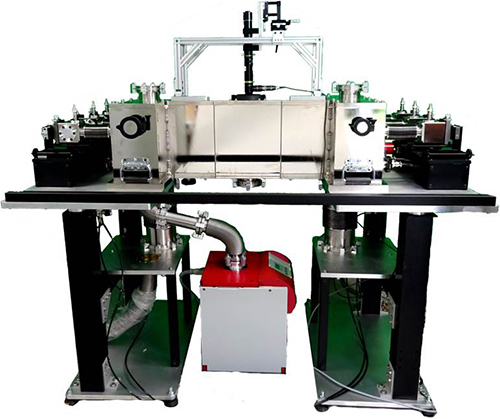 Multi-dimensional magnetic field testing capability. DC and/or RF probing available. Cryogen-free (closed cycle refrigerator) – based cooling. Wide temperature range testing (from 4K to above 400K).